Any route. Any season. 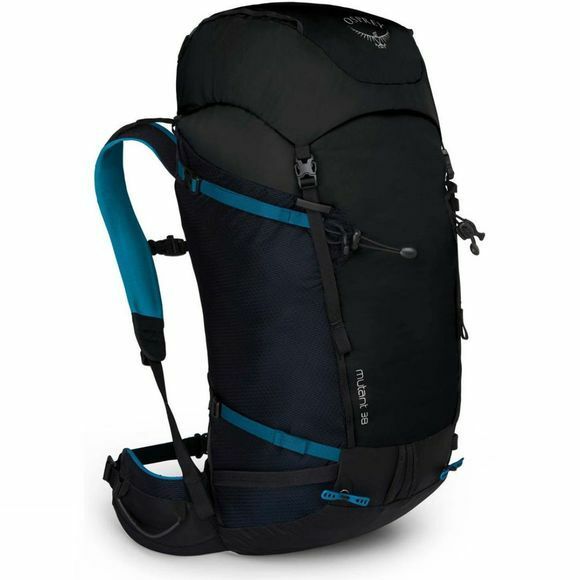 The Mutant 38 Rucksack from Osprey is a pack designed for year-round ascents. Super light, flexible, strippable and seasonally versatile you can rely on this perennial climbing partner. In the winter you will welcome the snowshedding backpanel, side ski carry loops and dual ToolLock system which allows quick and secure ice axe attachment. In the summer you'll be feeling the heat but enjoying the EVA die-cut ventilated shoulder harness and the ability to strip 380g from the total pack weight by removing any features you won't need. The main entry to the Mutant 38 is through a floating and removable top lid, which means you can overload your pack like a packhorse or remove the lid totally for greater head clearance and lighter weight. 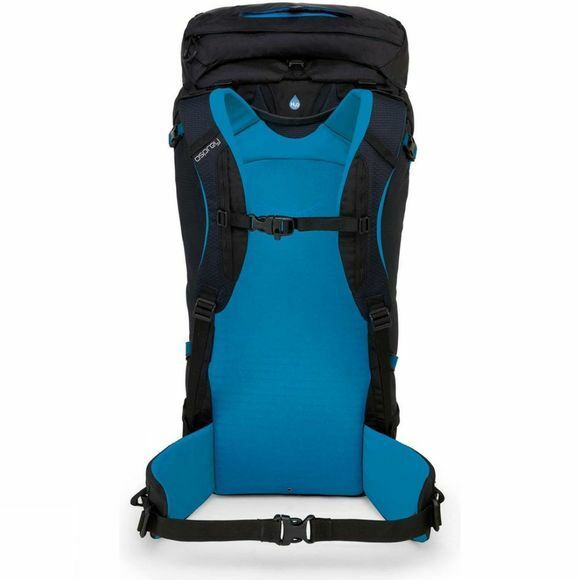 Lesser climbing packs have minimal weather protection and compression when in this mode, but not the Mutant 38. Utilise the built-in FlapJacket that not only provides a weatherproof closure; it keeps your gear fully compressed. Also integrated into the top pocket you will find a rapid deploy mesh helmet storage pouch. The reverse-wrap Splitter hipbelt delivers your choice of comfort, minimalism or gear racking options. Rock climbing in the summer or ice climbing and ski touring in the winter, your Mutant will never be off your back.